One hazy night in Cleveland, Ohio a company called Limo Dynasty set up their headquarters and parked all of their fine merchandise. They were about to become the most successful Limousine corporation in all of the Northeastern part of the United States. They would chauffeur the most elite individuals and travel to the most exquisite weddings, debutant balls, and parties. The corporate manager, Mr. Tribulloni, locked his gates up late Sunday night, and prepared to drive his company and it’s limousines up the corporate ladder not only throughout the next week but for years and years to come. The next early Monday morning, Mr. Tribulloni and his team opened back up and noticed something peculiar in the lot. Many of the limousines had been moved around and arranged in a different order than how they were left the night before. It also looked like their offices had been damaged and ran into. However, the Limos remained perfectly undamaged and still in mint condition. Later on in the afternoon, one of the Limo drivers made his way out to take care of a group. This group was from one of the most well known businesses in Ohio called Ventures Retail. They would be attending a party along with all their coworkers at the Venue 222, or at least they were supposed to. At this event they would be presenting upcoming financial and market decisions regarding the company, and further enjoying the company of each other through the finest courses and wine. It was going to be one of those nights the world offers only once in a great while that reminds us of why we work so hard to achieve the things we want most. This was until the Ventures Retail group never showed up to their event. It was as if they stood up the whole elaborate night, but that wouldn’t make sense… They set up the whole evening themselves and used their own money and precious time. So where did they go?! This question was not answered until three days after the disappearance had occurred. The limo driver that evening was found ran over on the side of a road only about ten miles away from the venue. So the mystery was solved. One of the employees must have hijacked the limo, ran over the driver, and taken the group some place they would never be found. This made sense to many of the investigators. 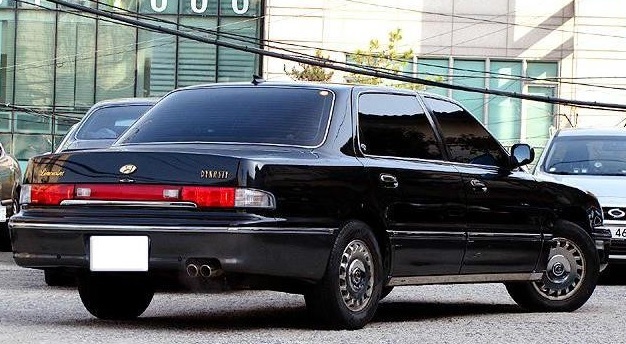 However, the very same limo that had been used for transportation that night was then found in the Limo Dynasty lot hours after the body was discovered. After the night of the missing Ventures Retail group, Limo Dynasty experienced twenty more disappearances before their company, with once great potential, was shut down. The only thing left from the mysterious limo company was a report made by a nearby neighbor of the lot. He reported that he had seen the limos being driven around frequently in the middle of the night and even breaking through the gates. Mr. Tribulloni’s response to the neighbor consisted of him hysterically confessing that he did not have staff on the company’s property anytime after 11 p.m. or before 5 a.m. And his response was a fact.